This enchanting blend brews up red in the cup and has the taste of fresh picked wild berries. 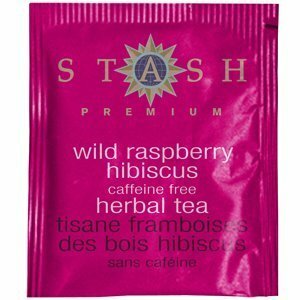 A fruity fragrant blend of hibiscus, rosehips, orange peel, lemongrass, and nautral wild raspberry flavor. 20 tea bags by Stash.